“Word of the author’s visit isn’t just a schoolyard rumor,” reported the Boise Weekly. “It spread like wildfire,” a Boise librarian told the newspaper. They’d actually stopped some of the event’s publicity, because the news was already spreading like a virus. “I had never seen such buzz about an event in Boise…” remembers a friend in Boise. “Later, I read that people waited in line for three hours, and some were turned away!” A librarian later told him that over 1,500 people converged on the library! Fortunately, my friend arrived early, bringing his two children for a special treat, and they ended up being among the first 20 people in line. So what was the famous author like in person? 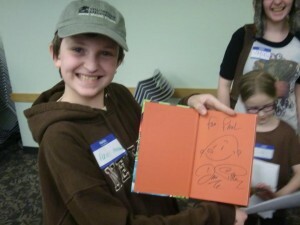 “He was awesome and chatted with the kids, drawing little sketches in each of the kid’s books.” Ironically, Dav Pilkey began his doodling as a fidgety kid in elementary school, according to the article in Boise Weekly. 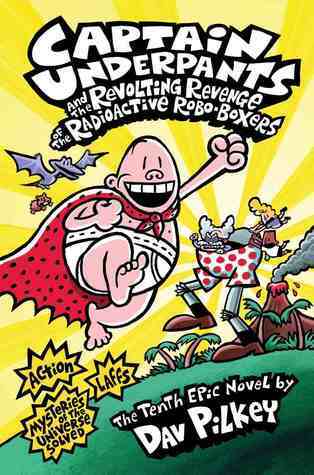 As a grown-up, he turned that experience into a series about two elementary students who ultimately convert their doodles into a photocopied comic strip, showing how they helped fight supervillains with the help of Captain Underpants. And now all across America, students are drawing their own comic strips, which ultimately find their way to Dav Pilkey (who gives them an appreciative nod). “I didn’t want the book to be a story about a superhero,” he tells the newsweekly. “I really wanted it to be about a kid or two kids who just didn’t fit in with school.” fact, some parents still complain about the book’s rowdy tone, and according to the American Library Association, it was last year’s #1 target for book-banning campaigns — receiving even more complaints than 50 Shades of Grey. 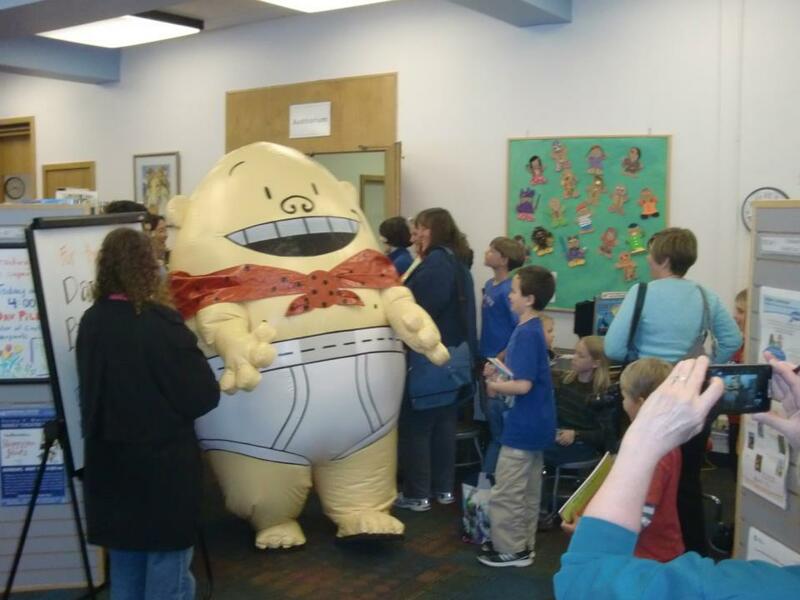 But Pilkey shares the other side of the story with the Boise newspaper, saying that some parents actually get emotional as they tell him their children love reading now — thanks in part to his funny books. And seated at a public library in Boise, he tried to return some of the love. Rather than just giving a talk, he requested a chance to sit down and meet individually with the children, autographing their books — and often adding another doodles. “That really makes book-signing worthwhile for me, that personal connection,” he said.